With football season in full swing it’s time for some great snacks. 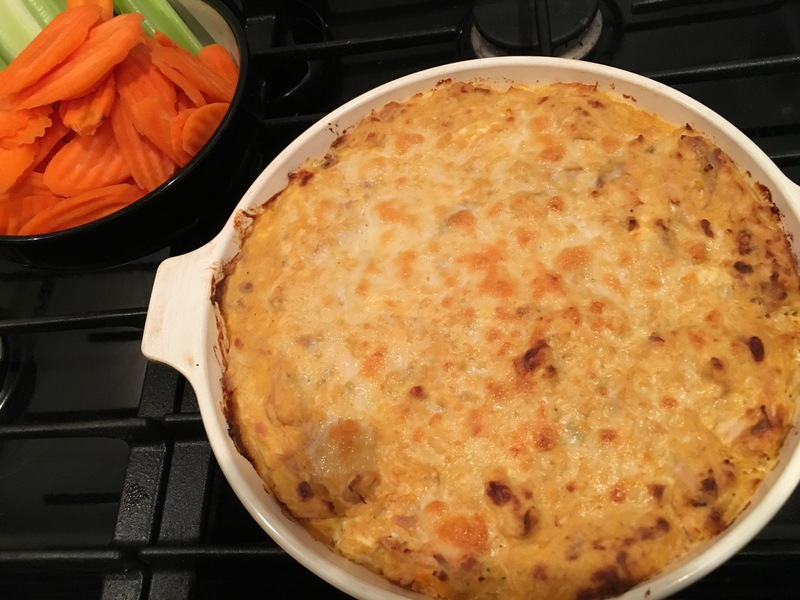 Buffalo dip is normally loaded with some calorie heavy ingredients. This version is much lighter and no one with ever know. Give it a try! Start by shredding the meat of the whole chicken. Make sure to remove all skin and bones. Place the shredded meat into a large bowl. Add yogurt, cream cheese, blue cheese, buffalo sauce and 1/4 of the grated cheese. Mix together well. Pour mixture into round baking dish and top with remaining cheese. Bake at 350 degrees for 25 minutes. Broil for an additional 1-2 more minutes to make the top golden. Serve hot with celery and carrot sticks.